Teenagers go through huge physical, mental and hormonal change. Osteopathy can help support teenagers through this difficult stage in their development. Spinal growth and development surges in the early adolescent years and the muscles, tendons, ligaments, fascia takes time to adapt to rapid growth spurts and postural changes. At this stage abnormal spinal curves, such as a scoliosis, can develop. While the body is in such a period of change it is also challenged by the increased demands of studying such as carrying large school bags, exams and the stress that accompanies them plus long hours of sitting and possibly poor posture. Sleeping and eating habits can also be affected. Teenagers are also more likely to spend long hours using technology such as smartphones, tablets and computers also leading to poor posture. Increased physical activity and sports injuries can lead to more accidents and falls and specific sport or growth related pains such as apophysitis of the tibial tubercle more commonly known as Osgood-Schlatter disease. You will find these extra demands will become evident as stiffness and aches in joints and muscles or even pain. The following areas are most commonly affected. It is important for teenagers to be assessed regularly through this time period. Providing osteopathy to teenagers can help by facilitating correct posture and alignment. Advice can be given on footwear, school bags, pillows, study area, exercise, stretching and posture. We treat individuals not conditions and will take time to look at all the factors contributing to a discomfort, strain or injury. Treatment is usually gentle, using soft tissue massage, joint articulation and occasionally joint manipulation. Teenagers often find this very relaxing and often report improved sleep afterwards. 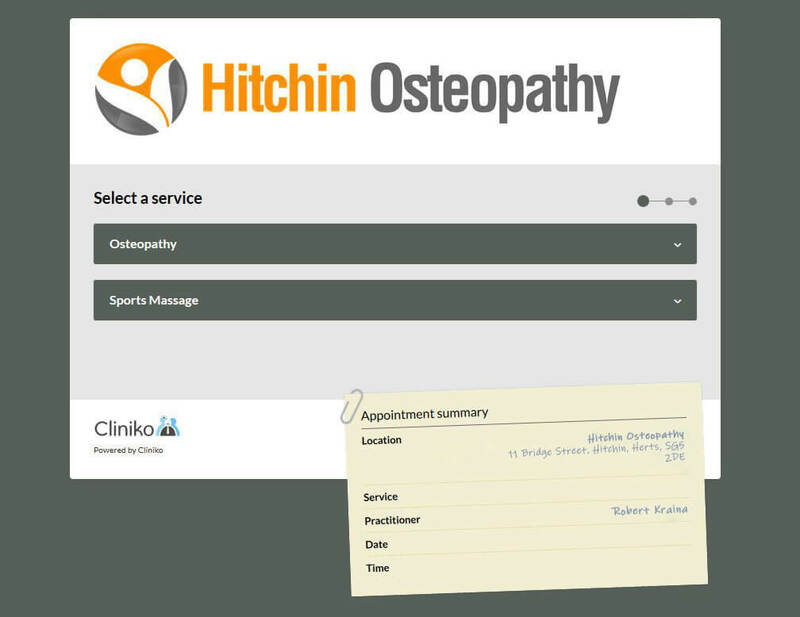 At Hitchin Osteopathy we recommend regular “MOT” checks for teenagers, sometimes even if there is no complaint, very similar to visiting your dentist. If you would like a check up or have a question to ask please get in touch by phone or email.